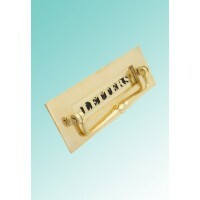 A classic 'Bank' style letterplate made of solid, unlacquered polished brass. 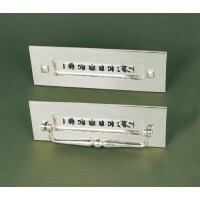 Measur.. 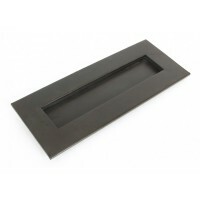 Aged Bronze - Large Letter Plate - Anvil 83962 A sprung loaded large letterplate with a high qual.. 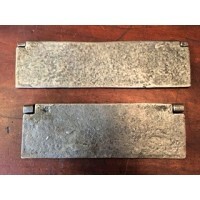 Aged Bronze - Small Letter Plate - Anvil 83961 A sprung loaded small letterplate with a high qual..
Beeswax - Large Letter Plate - Anvil 33209 - Discontinued This letter plate has a bee..
Beeswax - Small Letter Plate - Anvil 33054 - Discontinued This letter plate has a beeswax f.. 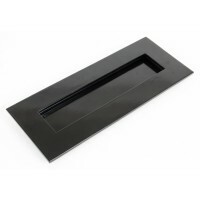 This sprung-loaded large letter plate will blend with the traditional fittings of a period property ..
Black - Letterplate Cover - Large - Anvil 33227 The cover has been designed to blend .. 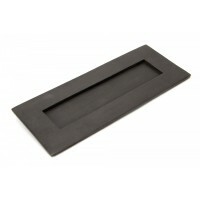 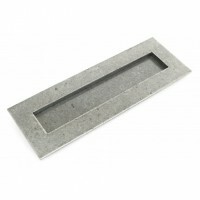 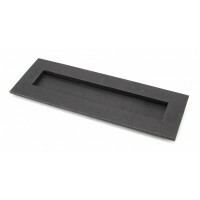 This rustic cast iron letterplate inner tidy/cover will reduce drafts and helps tidy up and improve .. 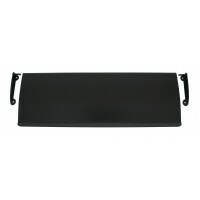 Cast Iron Letterplate Inner Tidy/Cover 11.5"
External Beeswax - Large Letterplate - Anvil 91492 Our traditional letterplates & covers are .. 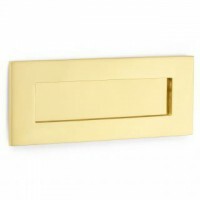 External Beeswax - Small Letterplate - Anvil 91494 Our traditional letterplates & covers are .. 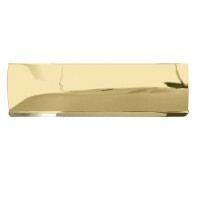 Inner Tidy/Cover - Polished Brass This polished brass inner tidy/cover will reduce dr..
A beautiful heavyweight letterplate forged in solid brass. 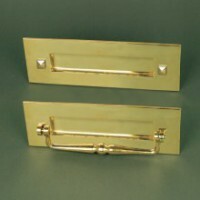 Smooth flat frame and flap with clapper.&..
A beautiful heavyweight letterplate forged in solid brass. 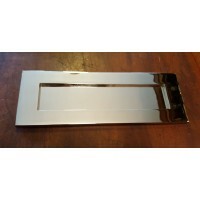 Smooth flat frame and flap with bla..
'Bank' Style Letterplate - Brass - Medium 12" x 4 1/4"
A classic 'Bank' style letterplate made of solid, unlacquered polished brass. 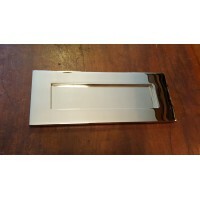 Measu..
A beautiful finely cast letter plate made from solid unlaquered brass with intricate wording and an ..
Quality not quantity - a small selection of fabulous Letterplates in brass, nickel & hand-forged iron. 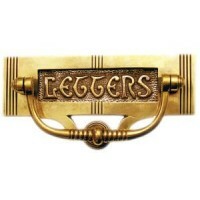 Don't forget we also stock many kinds of Doorbells, Centre Door Knobs and Door Knockers perfect for the front door. 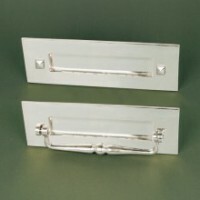 We guarantee that the Period Features selection of Letterplates is the best you will find on the internet or anywhere else and are only made from high quality materials to exacting standards.